A very high level of vital forces is certainly a strong characteristic of persons under the sign of Leo. Straight out they emanate with high energy that is felt amongst people in their surroundings. Everyone is impressed by this power of energy. Very often they spurt with joy and pleasure from life; what for many people is incomprehensible. Experience, which they acquire during the life, they treat as an adventure and all at the same time as other proceedings in given situations in the future. Quite often their high level of emotion is transferred to other people, since this positive energy far more is spread than negative. 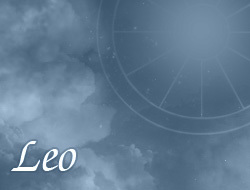 Person under the sign of Leo like to help other people, and often feel as advisers or carers. They have predispositions of good hosts, as well as humanist. Leoes are quite stubborn and consistently strive to prove their views. They don't like to lose, but when it happens, they take it with honor. Such people should pay attention to their strong ego, because it may discourage people, who are easily hurt. Leoes have also high tendency to philosophy, religion and art.